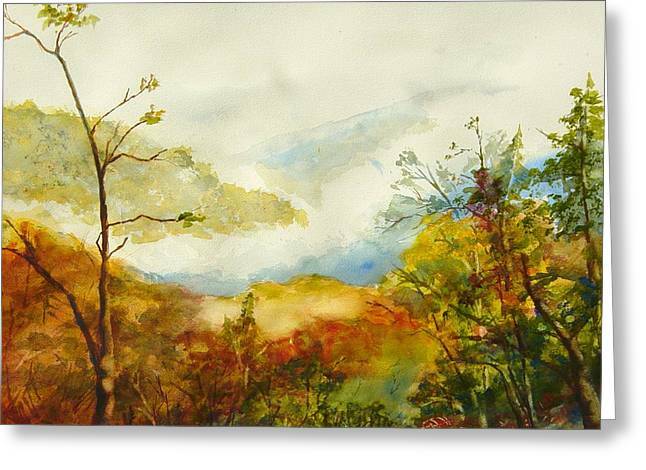 Laurel Thicket Overlook is a painting by Kris Dixon which was uploaded on October 5th, 2010. Laurel Thicket Overlook is a place to see vistas of mountain ranges. This fall morning shows fog settled in the valleys. 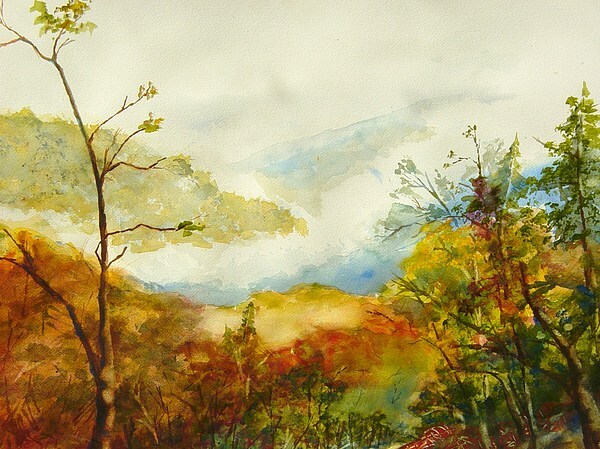 Love the composition and rich colors!